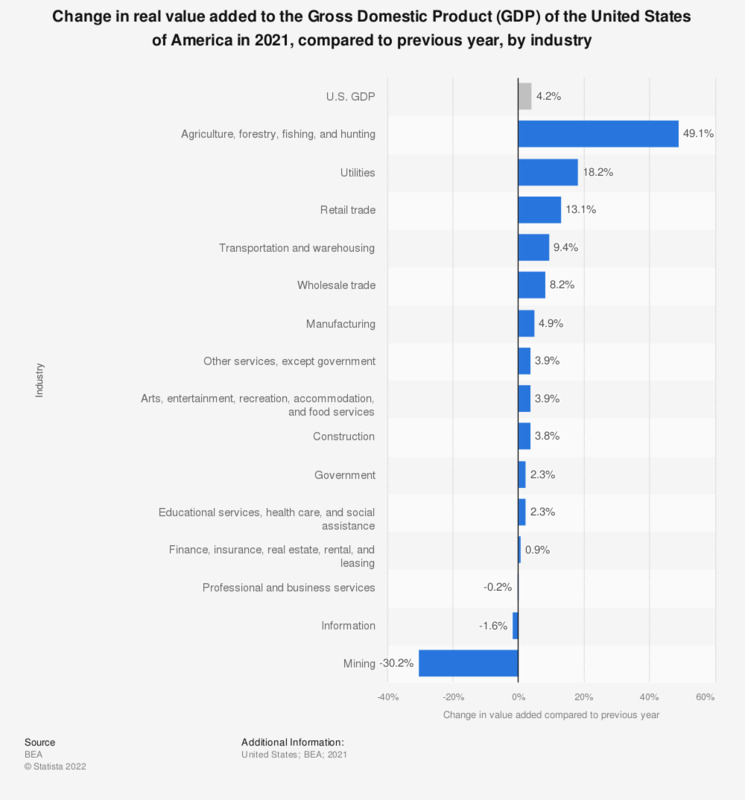 This graph shows the change in real value added to the Gross Domestic Product (GDP) of the United States of America in 2017, compared to the previous year, by industry. In 2017, the construction industry added 0.7 percent more value to the U.S. Real GDP than previous year. Total Real GDP increased by 2.3 percent from the preceding year.